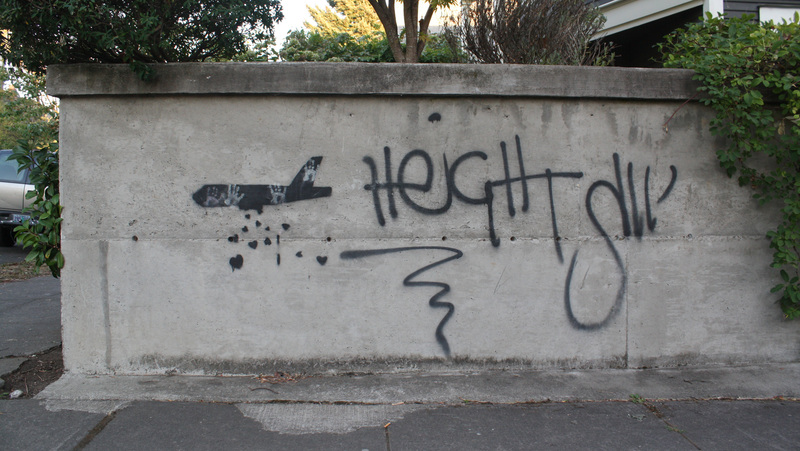 In that moment, this neighborhood kid helped me realize the power of guerrilla street art. This is exactly what my neighbor did, in leaving this adorable, simple, chalk art question on the sidewalk. 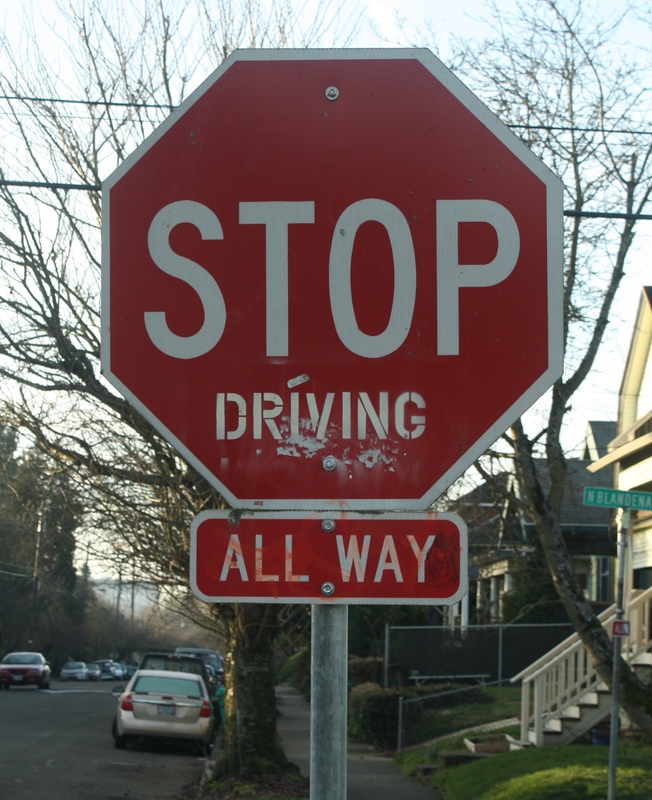 I’ve since noticed many other subtle, creative works of art all around me. Yet they don’t have to be anonymous, or just on the street. You can create them in everyday actions with others. “You can affect someone’s day or even change the world (one interaction at a time), just by presenting someone with something different than what they might expect,” Smith writes. During my two JV years serving in domestic violence shelters, I realized the potential in myself, and everyone, to directly or indirectly impact another. It became part of my practice of incorporating my spirituality into my actions, and attempts at living simply and intentionally. I learned I could try, hope, to make a situation slightly better for survivors we served. Leave an encouraging note under the door the day of her job interview; remind her progress she’s been making; sit with her through her struggles. Even with small things, we can affect someone’s day, even in the slightest way. The hard part was not always seeing the impact. And in life, we don’t always know the results of our actions. So often, women left shelter suddenly, and we never knew if anything we did made any difference. Yet I’ve learned to be ok with that. I don’t always need to know the impact of my actions to feel like it was worthwhile. 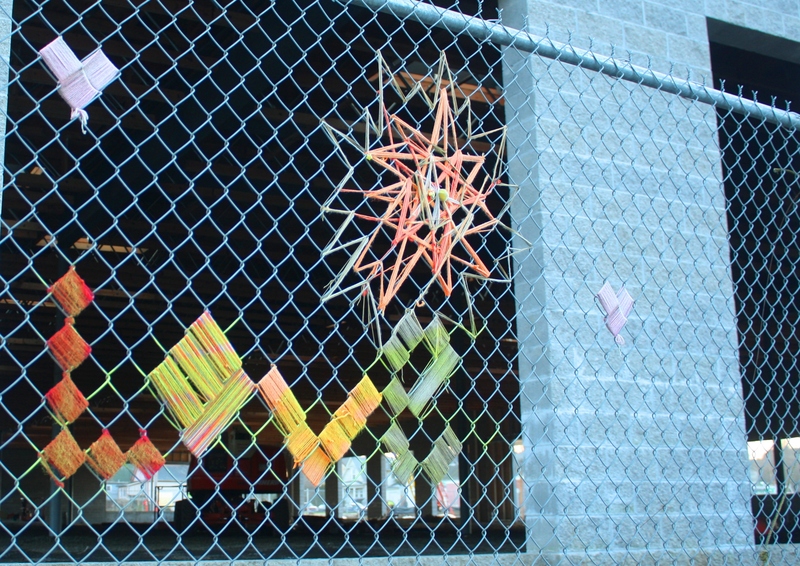 Similarly, the beauty of guerrilla art is you may never know what inspiration may come, if bad moods are lifted, what thoughts may be provoked when you put your vision out into the world, whether in writing on a card, with paints on a canvas, or chalk on a wall. Likewise, we don’t always see how the work we struggle to do each day may in fact be vital step in creating a more just world, even if it only comes many years after we leave. 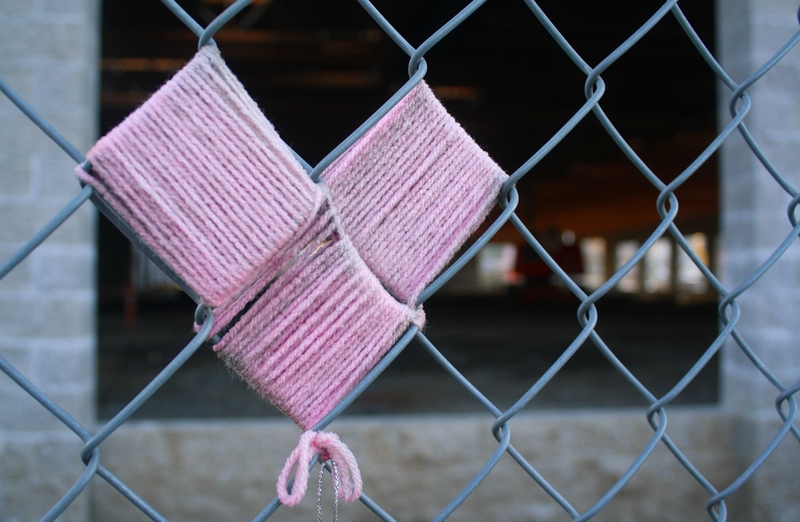 A guerrilla knitter beautifies the fence of a construction site near the JVC Northwest office. If you shared a vision, hope, or idea with your community, what would you want to say? *quotes from Keri Smith’s book The Guerrilla Art Kit: everything you need to know to put your message out into the world.